When riding on the MTB and Road bikes I used “normal” (flat, platform) and clipless (contact) the pedal. Here I share small review. I’ll start with the “flat pedals“. Used for a long time and will continue to be used when riding in the city and in the trails in the woods. Use with a shoe with a sole of medium hardness. I would say – with a firm, but compared with the bicycle shoe is probably not correct 🙂 At the left – stock pedal which was on the budget bike. Brand does not make sense to mention, because it’s – OEMs, i.e. real manufacturer is unknown. Pedal- full metal with good spikes. Spinning well, and believe that “unkilled”. Fairly heavy (213 grams – hereinafter the real weight of one pedal), but on the budget bike is not important. The pedal on the right (Wellgo M111) – bought specifically for the road bike. Lightweight (117 g), painted like made of carbon, but all-metal. 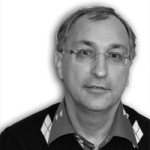 Adherence with the sole – excellent. The pedals were used when we rode mainly in Moscow. I used them on two brevets of 200 km. At the left – wonderful pedal Shimano A600 (weight – 145 g). 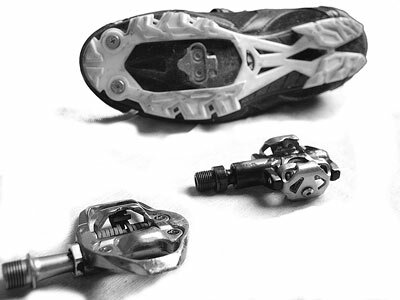 This is the only in the world road pedals equipped with cleats for MTB bikes. Frankly speaking, the “real” road cyclists do not favor MTB standard. I’m not in the position for this “holywar”, because I – not the “real” roader but – “brevet-er”. I need to have opportunity for long walk if something happens on the road. To walk comfortable and be sure for safety of shoe cleats. 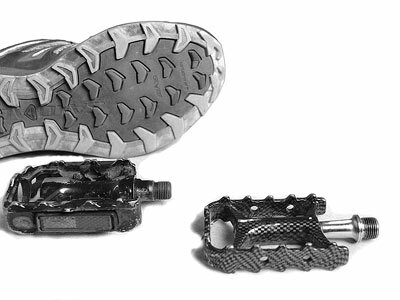 The principal difference between this pedal and the MTB one (the one on the right) that A600 has small platforms to contact the ribs on the underside of shoe. As a result shoe can not sway from side to side when pedaling, as in the “real” road pedals. At the right – the budget pedal from Decathlon for MTB bike. It – also the OEM, such pedals can be met under different brands. I liked the simplicity of design. Pedals fairly lightweight (180 g). If to compare these pedals for ease of use, Shimano A600 (left) snap faster and better hold.